Tánaiste and Minister for Enterprise and Innovation, Frances Fitzgerald T.D. 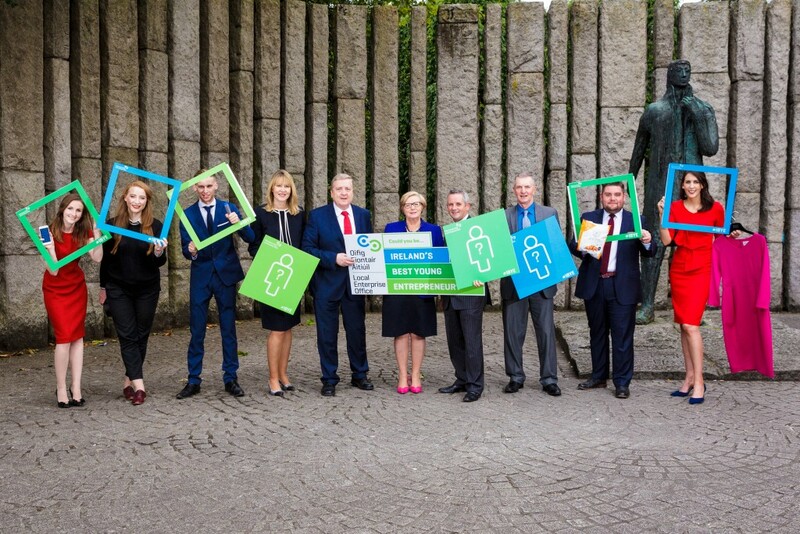 and Minister of State for Business, Pat Breen T.D., have launched the search to find Ireland’s Best Young Entrepreneurs of 2018 (IBYE). 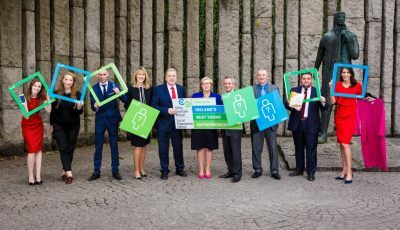 IBYE is a programme run by the 31 Local Enterprise Offices (LEOs) with the support of the Department of Enterprise and Innovation and Enterprise Ireland. The competition is open to people between the ages of 18 and 35 with an innovative business idea, new start-up or established business. Now in its 4th year, IBYE has an investment fund of up to €2million. The closing date to enter this year’s competition is Friday, 29th September, 2017. Minister of State for Business, Pat Breen T.D. said: “IBYE offers a very significant stepping stone into the world of running your own business for young people aged 18 to 35. It’s not just the scale of the investment fund on offer that makes IBYE so important, IBYE entrants can go on to receive intensive enterprise boot camp training from their LEO under the programme, to help them establish and develop their entrepreneurship careers. Now in its 4th year, IBYE has proven to be a great success in all the regions with more than 1,800 applying across the country last year. I would encourage young people with a business idea or currently running a business to apply for IBYE before the deadline of 29th September, 2017. Representing the Local Authorities, Paul Reid of the CCMA said: “Now more than ever before, Local Authorities are connecting with young and aspiring entrepreneurs, through our LEOs. We are very keen to ensure that anyone with a good idea for a business is given the necessary encouragement and support every step of the way. There is a wealth of innovative thinking among our bright and increasingly confident young population. It is very important that we harness this resource to encourage enterprise locally. This will in turn create much needed sustainable employment and economic wealth throughout the country”. Former IBYE national winners and finalists helped to launch the competition in St. Stephen’s Green in Dublin, including: Ciara Clancy of Beats Medical in Dún Laoghaire-Rathdown (IBYE Overall Winner 2017 and winner of Best Established Business), Alvan Hunt of Hexafly in Meath (Best Business Idea National Winner in 2017), Samuel Dennigan of Strong Roots in Dublin City (Best Start-Up Business National Winner, 2017), Rhona Togher of Restored Hearing in Sligo (Best Established Business National Finalist, 2014) and Niamh O’ Neill of Niamh O’ Neill in Louth (Best Established Business National Finalist, 2014). To enter, young entrepreneurs between the ages of 18 and 35 should visit https://www.ibye.ie/submit-form/ to submit their applications online. Beats Medical, supported by LEO Dún Laoghaire-Rathdown, has developed an app that provides individually tailored treatments for people with Parkinson’s Disease in more than 40 countries, helping them take control of their illness by addressing mobility, speech and fine hand movement issues. Founded in 2012, Beats Medical is developing further products to help treat patients with other neurological conditions such as MS, Stroke, Dyspraxia and Cerebral Palsy. Hexafly, a bio-tech company that is supported by LEO Meath, converts by-products from insects into valuable animal feed compounds such as protein, oil, fertilizer and bioplastics. The company, which has recently started trading, produces valuable insect oil, protein, chitin and fertiliser, to provide a new and sustainable source of protein for the animal feed and aquaculture markets. Strong Roots, supported by LEO Dublin City, is developing healthy alternatives in the frozen food section of supermarkets in Ireland and the UK, such as their branded oven-baked sweet potato chips. Employing 16 people, the company has sold over 3 million packs of Strong Roots’ products over the last 18 months and has recently launched the brand in the Middle East. Restored Hearing, supported by LEO Sligo, has two main products: ‘Sound Relief’ is an online tinnitus sound therapy which is clinically proven to reduce the severity of symptoms for tinnitus sufferers; ‘Sound Bounce’ is a smart acoustic metamaterial used for hearing protection headsets and earmuffs, that has eight times better noise absorption when compared with conventional materials. For use in automotive, aerospace and construction industries, this active soundproofing material is responsive and can reduce the impact of environmental noise. Having worked as a Fashion Designer with Diane Von Furstenberg in New York and John Galliano in Paris, Niamh returned to Ireland and started her own ‘ready to wear’ clothing line in 2012, with support from LEO Louth. In 2015, Niamh attended her first trade show in London during Fashion Week and the Niamh O’Neill e-boutique was launched in early 2017 with clients in the UK, Australia, Los Angeles, New York and France.